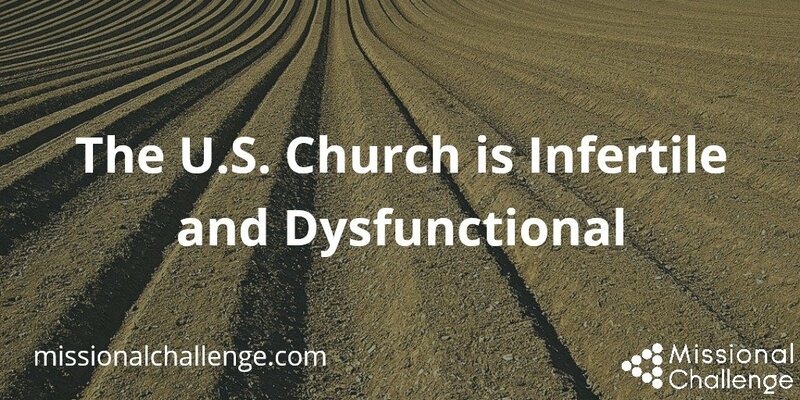 Combining dysfunctional people and unrealistic expectations results in churches that are extremely unhealthy, and consequently, spiritual reproduction of disciples, leaders and churches is non-existent. The mission of Jesus is empowered by the gospel. Without the cross, all religious activity is dead and worthless. It will not last. Paul says in Romans 1:16, “For I am not ashamed of the gospel, for it is the power of God for salvation to everyone who believes, to the Jew first and also to the Greek.” Where is the gospel’s power evident in America? I personally doubt that has changed in the past few years. Disciples are not making disciples who make disciples. Spiritual reproduction is non-existent. Churches are not reproducing churches. Both Christians and churches in America are infertile! They have stopped trying to reproduce altogether. Although God designed every Christian with a capacity for spiritual reproduction, most Christians seem incapable of doing it. Logan, Be Fruitful and Multiply, 27. Klopp, The Ministry Playbook, 64. Rainer, Surprising Insights from the Unchurched, 23. Bailey, ed., Pursuing the Mission of God in Church Planting, 40. Stetzer, Planting Missional Churches, 14.